We love doing weddings and brides seem to love having us help celebrate their special day at the evening party. After the formality of the wedding breakfast, you will want something more relaxed for the evening dance. Le Café Crème provides the perfect solution; our delicious sweet crêpes are popular with all ages and guests can come back for as many as they like over the 2 hours or so we are serving. We have found it works particularly well in combination with another savoury caterer such as a BBQ or hog roast. We can also provide fresh coffees and teas if required. 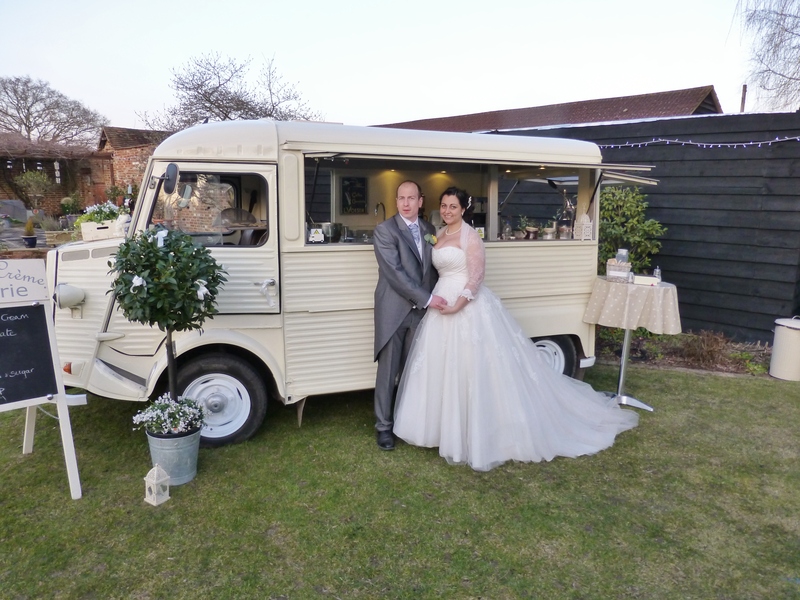 With its retro look and evocative French café music our van will provide that extra special something for your evening wedding party, which will be long remembered by your guests.